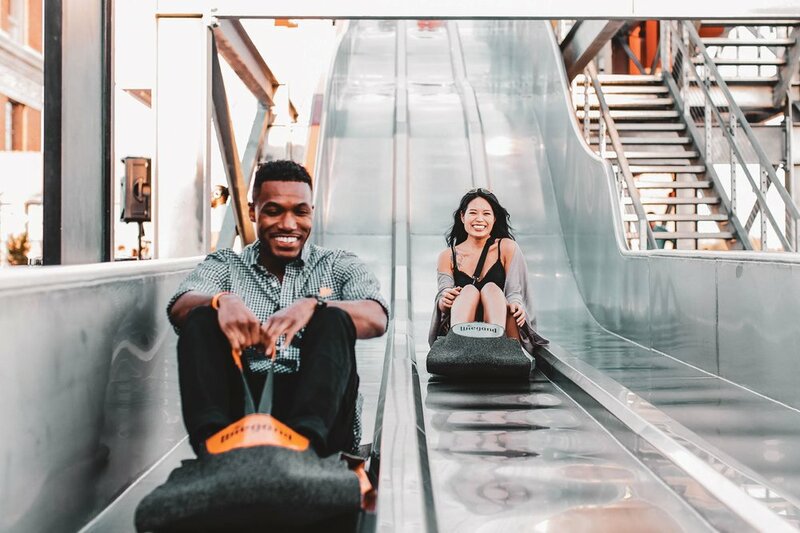 Located on top of Ponce City Market, Skyline Park is an entertainment space in Atlanta, GA that truly is like no other. Skyline Park brings old-timey fun to the heart of Atlanta, Georgia. 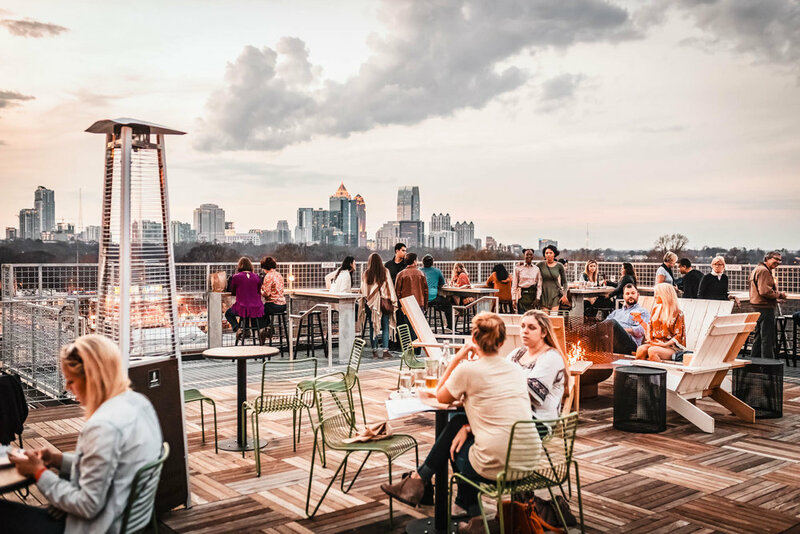 Perched high above the hustle and bustle of Ponce de Leon Avenue on the top of the magnificently restored Ponce City Market, Skyline Park has become a premium destination for those seeking delicious food, refreshments, and good times for all ages. Come from near or far to delight in carnival amusements, and marvel at the breathtaking views of our fine city. 9 Mile Station is an elevated beer garden in the heart of Atlanta, Georgia. Located on the top floor of Ponce City Market, 9 Mile Station is a sleek indoor-outdoor space offering sweeping unobstructed views of Atlanta’s skylines spanning from Buckhead to downtown. 9 Mile Station serves craft beers from near and far, classically-prepared cocktails, and delicious, shareable food. The open air experience offers inspiring and satisfying views year-round with an enormous canopy of umbrellas during the warmer months as well as an abundance of fire pits and heaters for cooler times. RFD Social is designed for both private events and the casual night out with good friends. Open to the public, the Parlour reflects a richer era of Atlanta’s past. You’ll find eclectic interiors, plush seating, and a collection of vintage radios—nostalgic reminders of the tower’s previous life as a broadcast hub. Guests mingle with friends at the bar where experienced mixologists pour a finely-appointed selection of cocktails. 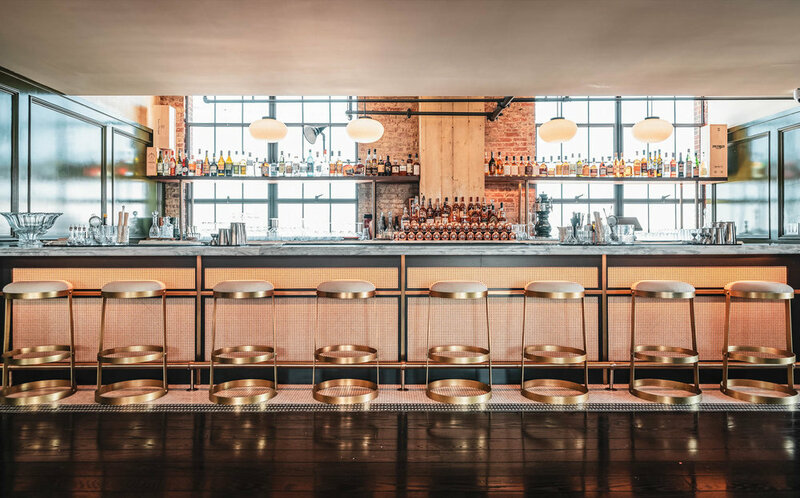 12 is the members-only social club in the tower at Ponce City Market. Our members are entrepreneurs, executives, creatives, and media influencers in a variety of fields. Ideal for corporate functions, wedding receptions, or other large social events, the Rooftop Terrace comfortably accommodates 75-350 guests. Business luncheon, holiday party, or gala reception, Rooftop Terrace provides the ideal setting for your corporate event. For the couple, our events team is committed to creating your dream wedding. Impeccable service, seasonal menus, and professional on-site managers will ensure every detail has been handled for your memorable day. Additionally, choose Rooftop Terrace for Bar/Bat Mitzvahs, milestone birthdays and anniversaries, because of our unbeatable views, and outdoor entertaining experience.